Many ingredients needed in historic cooking are available through the internet. Several dealers of historical ingredients are listed with a small sample of their more unusual offerings. Local independant butchers [such as Trueth's or Wagner's Meats/Mt. 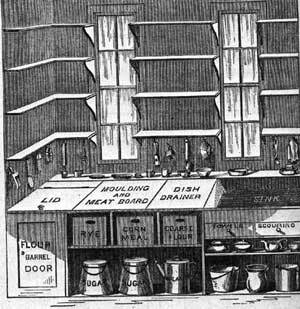 Airy Meat Locker in Maryland] can supply suet, stomach, bladder, tripe, calves feet and may cut the meat to your historical specifications.